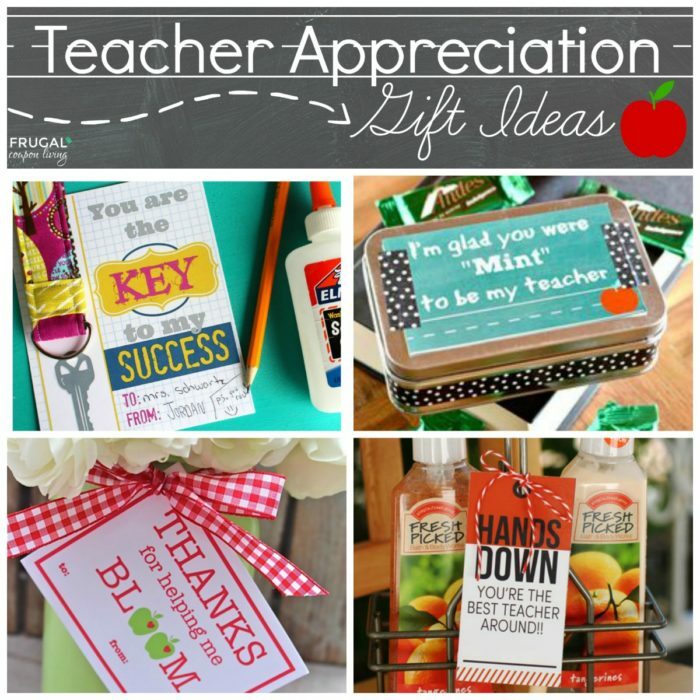 Teacher appreciation gift ideas with free printables. 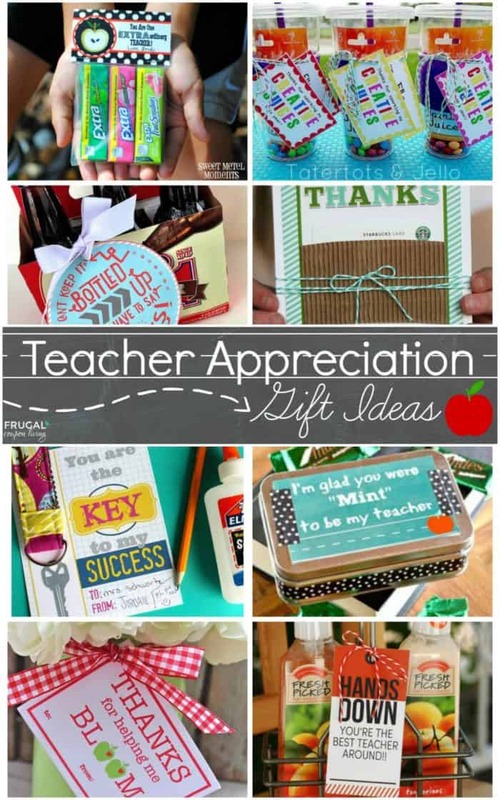 Ideas for each season of the school year. 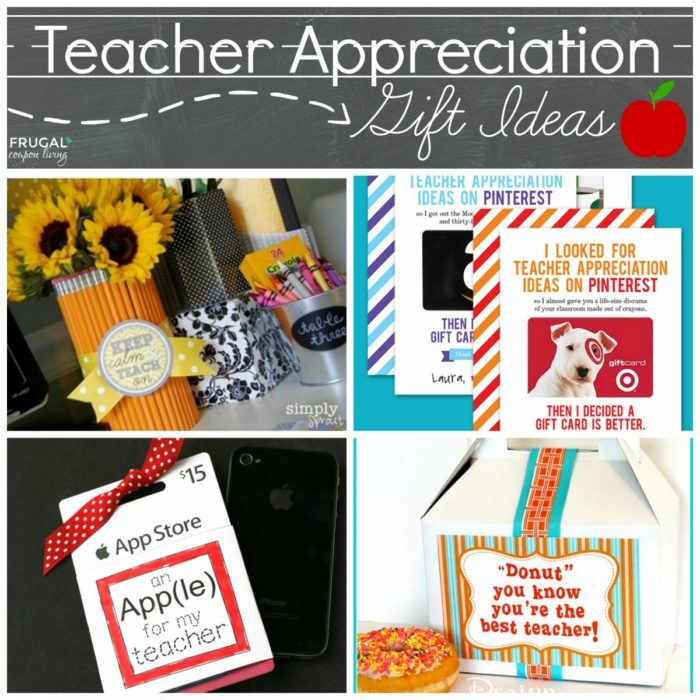 Prior to blogging, I was a teacher and I absolutely loved it. Teaching brought about some of my most memorable years and I would go back in a heart beat if it fit my life and schedule. 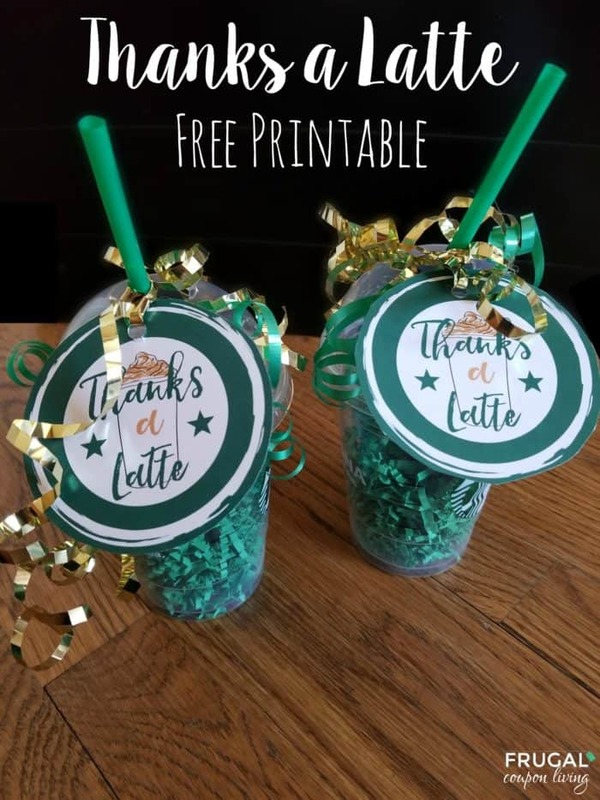 One of my favorite time of the year was spring for both teacher appreciation and volunteer appreciation week. It wasn’t getting huge gifts but it was the heart felt wishes my students gave that mattered most. By spring we had built meaningful relationships and when they would write me notes of appreciation, they always brought tears to my eyes. Cleaning out a cabinet with my daughters this past week, I came across some of those notes and half a dozen years later, they still warm my heart. 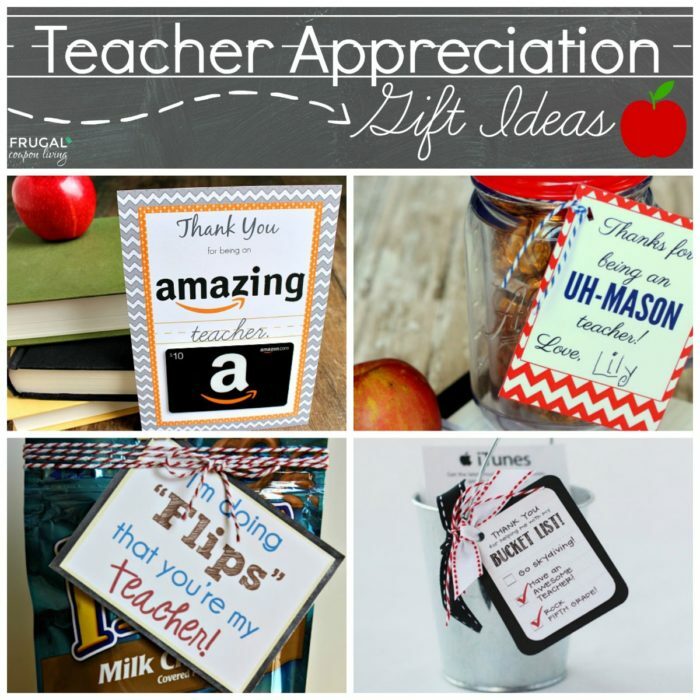 Take a look at some of these FREE and CREATIVE Teacher Appreciation Gift Ideas – I bet you will put a smile on your child’s teacher’s face! 1.) 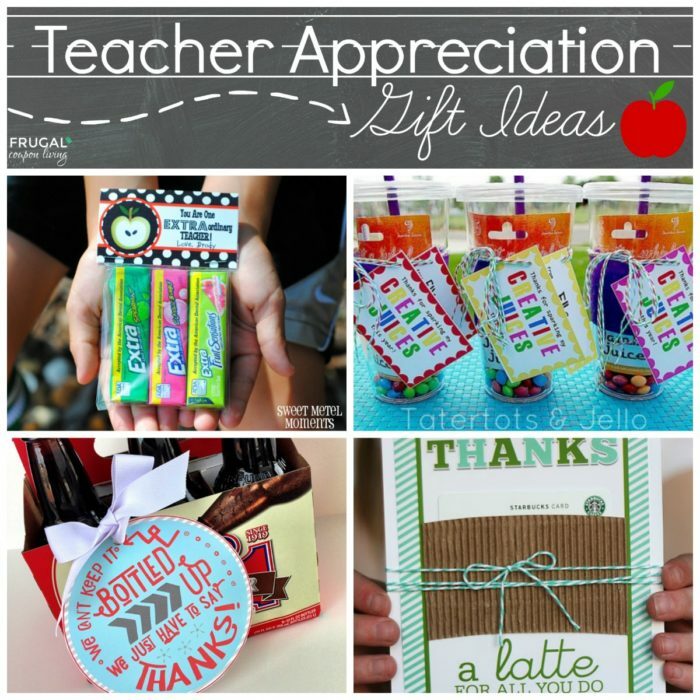 Keep Calm and Teach On Printable from Frugal Coupon Living. 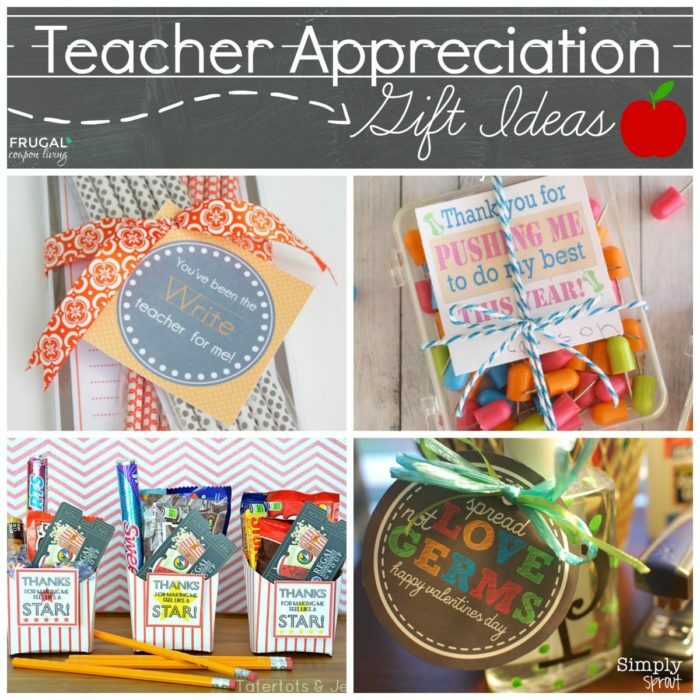 We have seasonal teacher appreciation ideas too! 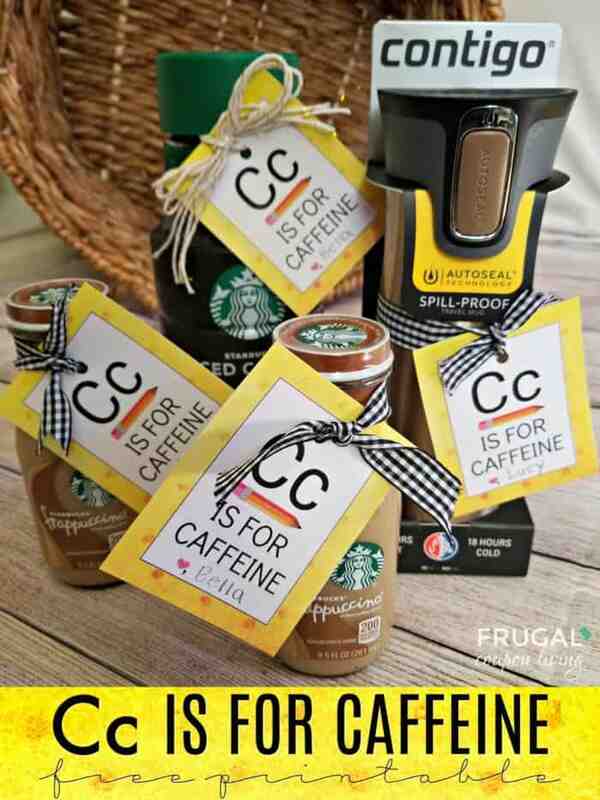 See our C is for Caffeine. Pin to Pinterest. 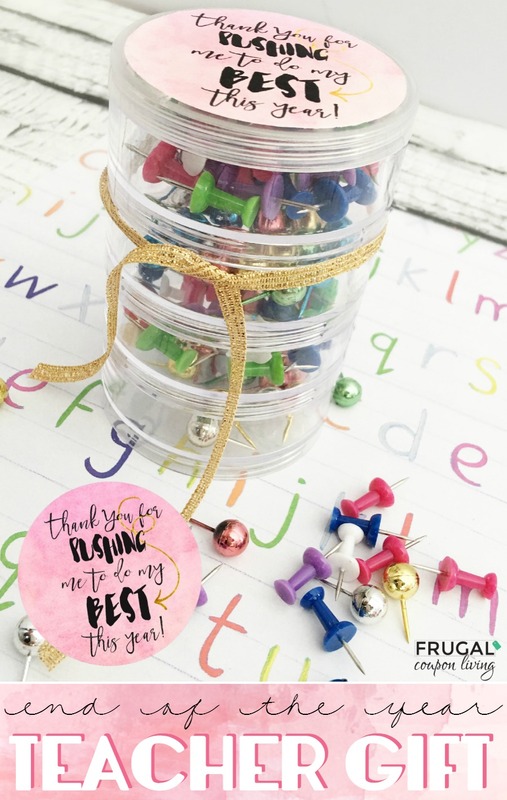 Also check out our End of the Year Printable Gift – Thank you for PUSHING me to do my best. Pin to Pinterest. 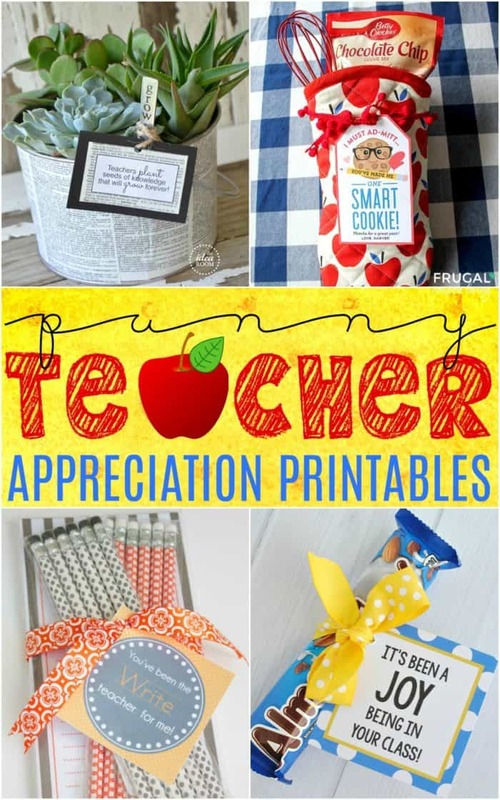 Don’t forget our FREE Teacher Appreciation Printables. Pin to Pinterest.